The 1-Yard Dumpster is good for small restaurants, medical clinics, and small companies. 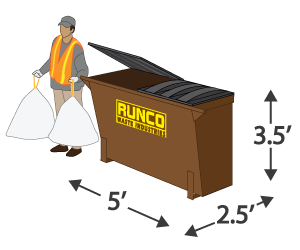 The 2-Yard Dumpster is good for mid-sized restaurants, medical clinics, retail stores, and mid-sized companies. The 3-Yard Dumpster is good for mid-sized to large retail stores, medical clinics, restaurants, and mid-sized to large businesses. 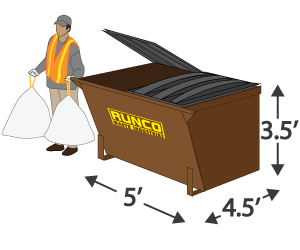 The 4-Yard Dumpster is good for large retailers, medical facilities, restaurants, and larger businesses. 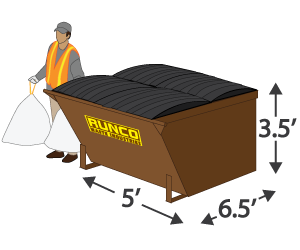 The 6-Yard Dumpster is good for large retailers, medical facilities, restaurants, and large companies.